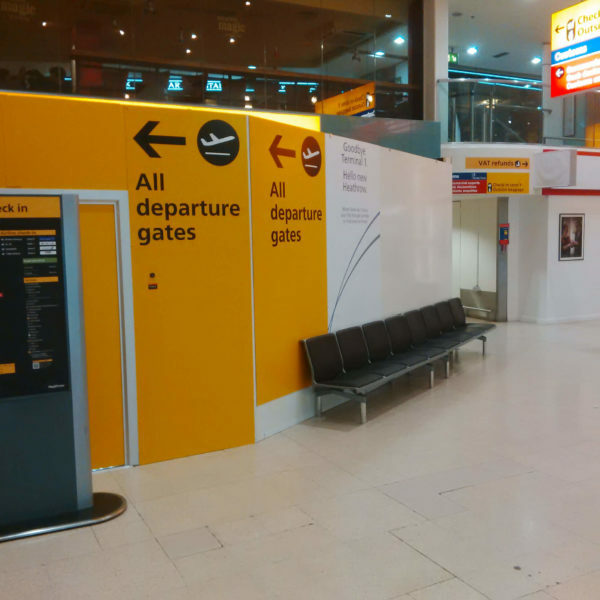 Westgate supply and install a range of temporary internal dust and construction screens, used by airports during fit out and construction projects. 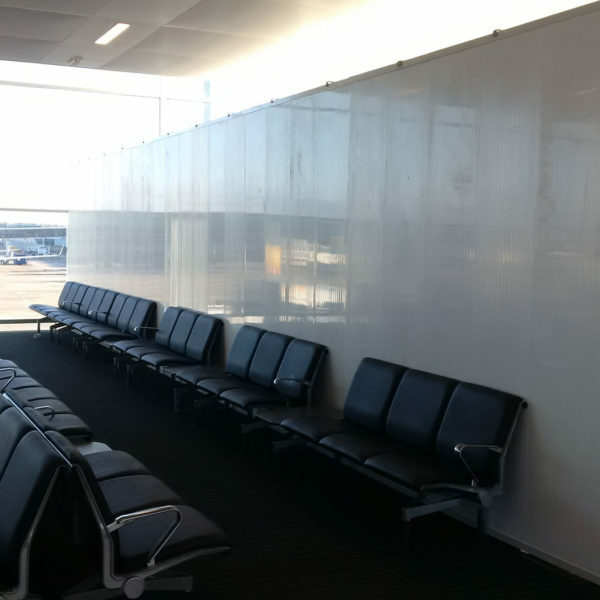 Hoardfast is a free-standing, modular, part-height partition used to shield passengers and employees from short or long-term development projects. The system is available in a range of panels and stability options. Hoardfast is available in a range of fire ratings and sound reduction properties to suit the specifics of your project. For more information about Hoardfast or other products including Flexiscreen and Flexicurtain visit the popular industry products section below. 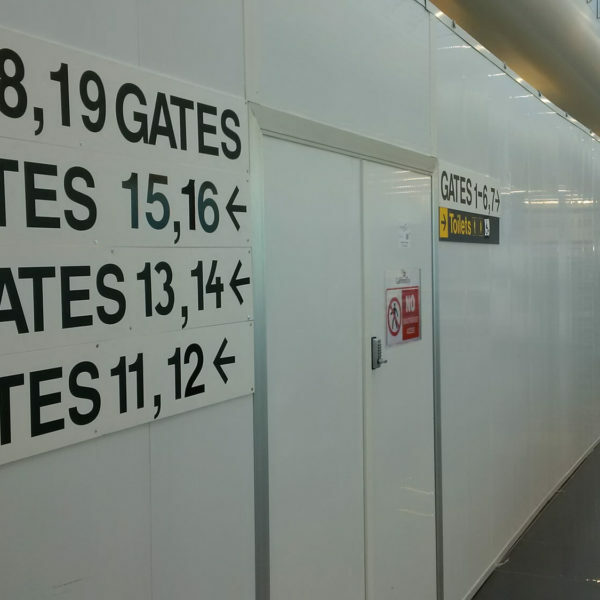 Birmingham Airport required segregation whilst making improvements. 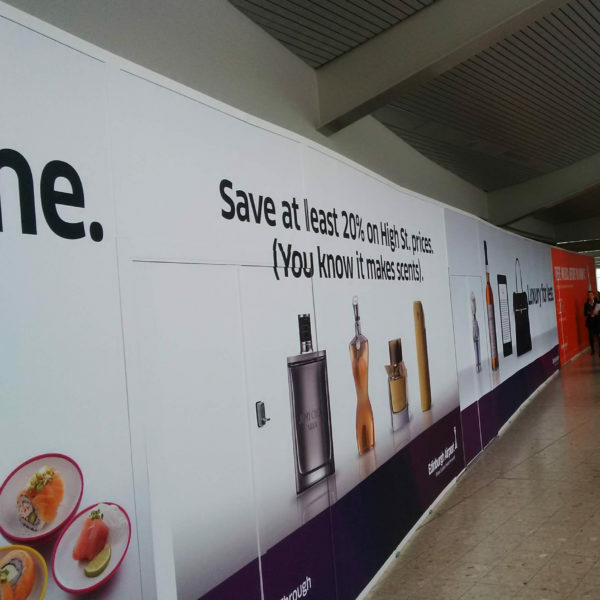 Westgate supplied Hoardfast with weighted supports and double door contractor access.